The JBRND Hi-LO Table is a strong, lightweight adjustable-height table capable of supporting a total of 110 lbs. 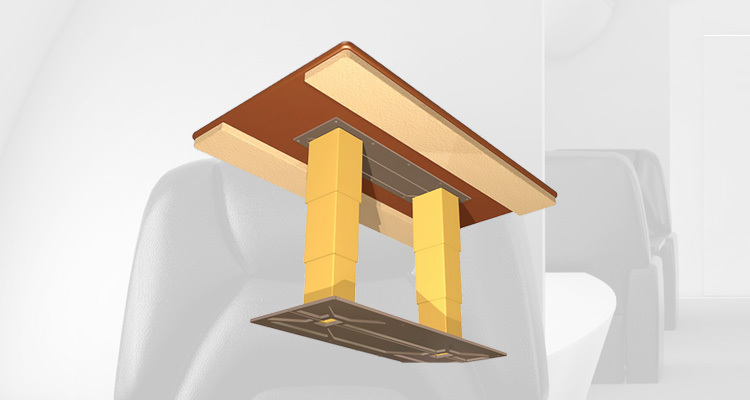 (Tabletop supports up to 80 lbs. Base supports up to 30 lbs.). These quiet tables can be finished to match any aircraft. With a stow height of 14” with leafs and a full height of 26”, The JBRND HI-LO table offers a luxurious and convenient way of utilizing cabin space. With an outboard length of 48 inches and a forward width of just 15” when folded in, this table is simultaneously compact and full. 9G FWD, 3G SIDE, 3.5G UP, 6.5G DOWN, 1.5G AFT. 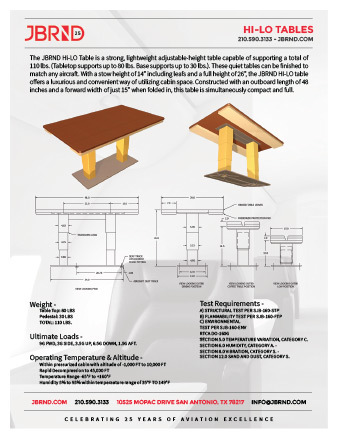 Get the JBRND brochure for our Hi-Lo Tables. The brochure is one page, in PDF format, ready for printing. If you are interested in any other JBRND brochures, make sure to visit our Downloads Section, where there are many others available. As always, just get in touch if you have questions. 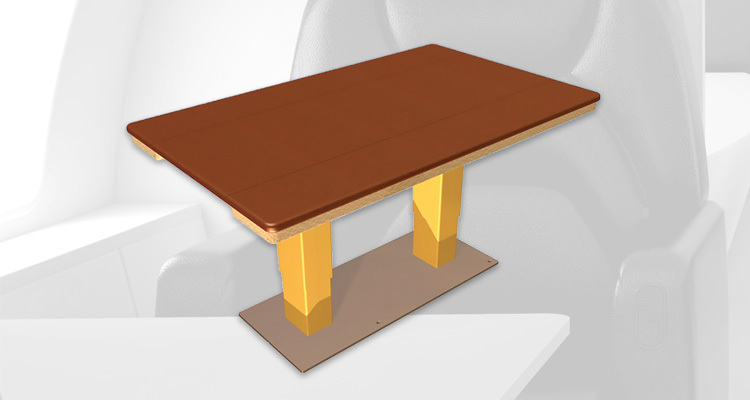 JBRND's Hi-Lo Tables are available for all types of aircraft. We look forward to discussing your project. Get in touch with us today to get more information by clicking the button below.